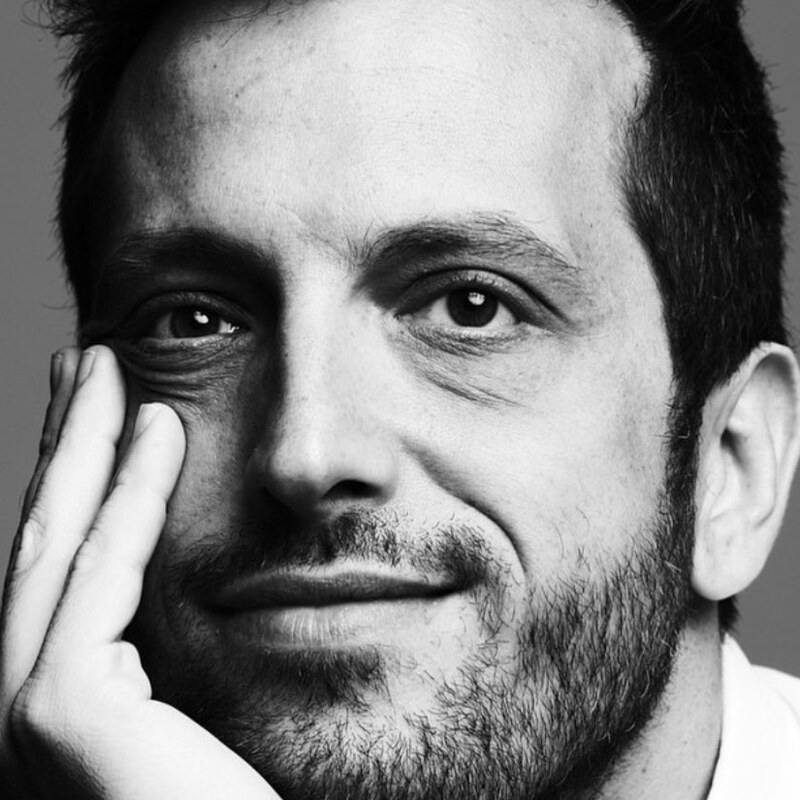 What do Versace, Dries Van Noten, Narciso Rodriguez, and Anthony Vacarello all have in common? They’re just some of the elite brands that currently rely on Piergiorgio Del Moro for his casting expertise. The diversity of Del Moro’s clients is proof of his remarkable ability to intuit the essence of an artist’s vision and find the perfect models to bring it life—whether they need to be downtown androgynes for Public School or quirkily elegant ladies at Fendi. Piergiorgio is capable of articulating many different ideas of beauty and style, and his choices are always compelling. That’s why, only 5 years after opening his studio, Del Moro finds himself tapped for some of the most prestigious jobs in the industry. 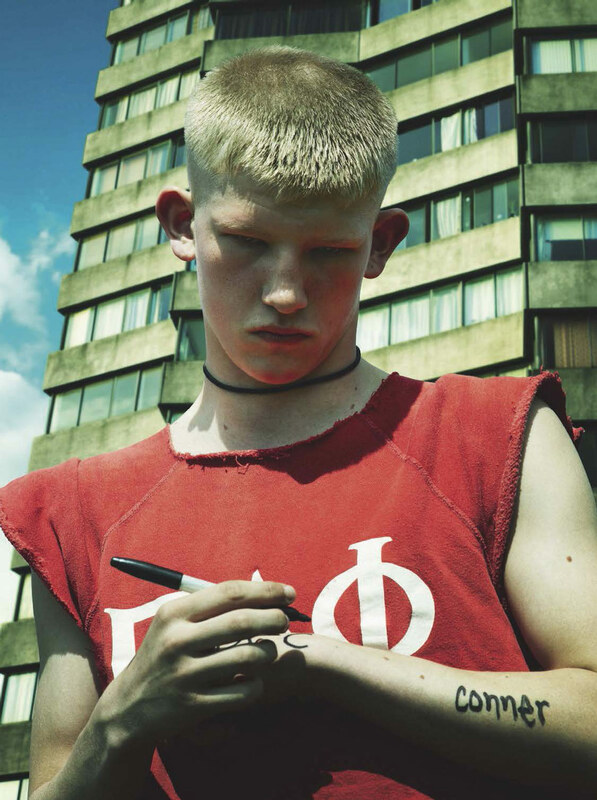 In the last year alone, he’s worked with 4 editions of Vogue (Vogue Paris, Vogue China, Vogue Japan, and Vogue Italia) as well as i-D, Document Journal, and Garage. He’s rocketed to the top of the industry at super-sonic speed, and with two Vogue covers already under his belt for 2016, he shows no signs of slowing down. I didn’t expect to have a career in this industry. I’ve always been fascinated by fashion—I’ve been collecting monographs about designers since I was 17 or 18. My father was in the music business and I had some friends in the Italian fashion business, but I never ever thought I’d be part of it myself. I studied law! After deciding to not be a lawyer, though, I tried to make money working in production. That was where I learned that I found the job of casting very inspiring. My friends weren’t surprised, because they always knew I was attracted to this world. My family, though—my family didn’t talk to me for six months! But in the end it was fine. I’ve been very lucky with my career so far. I started this job only 5 or 6 years ago and things went really fast. I met the right people at the right time. Sometimes, it can be difficult to prove that you are great. For me everything changed when I came to New York. New York made my career and I wouldn’t be where I am if I had stayed in Europe. Here, you knock on a door and someone will open it and give you a chance. What I love most about my work is that every project gives me a chance to make something new. My signature is making projects special. I think what makes my work different to other casting directors is that with each client, I really do something unique. I don’t like to always book the same models. I have a point of view that is quite strong, but I need to advance the identity and DNA of the designer. Each client has a specific aesthetic and I need to follow that and I also need to improve it. It’s really interesting to see how people react, and to see and hear their feedback and discussion on different projects of mine. I do look at the comments on my work. I check what people are saying on my Instagram and I look at The Fashion Spot all the time. There are so many young kids whose thoughts I read online and on social media who I would love to work with because they are so on top of what they are thinking. One of my assistants, even if she is leaving now, is the best one and her point of view is pretty amazing. That’s my other favorite part of the job, working with such an incredible team. Samuel Scheinman and Giulia Massullo are my amazing associates. The most challenging part of my life now is trying to find a balance between a proper personal life and a business life. My team is what really helps me get through all the craziness, especially during show season. What makes a girl stand out to me is personality. I grew up loving the versatility of Linda Evangelista and I’m fascinated by the personality and camera presence of Kirsten McMenamy. And I love the beauty of Stephanie Seymour. But I’ve also always been attracted to new faces as long as they have great personalities and care about what they’re doing. I love when a girl comes in without makeup and she is completely comfortable. You can see it in how she is standing. To me, this is the most important thing. I think designers need to keep diversity in mind for their casts, but each project is completely different. It depends on the references, it depends on what they are looking for. It is not always the absolutely priority in the casting discussion. When it comes to the age of a model, I have a very different point of view compared to my colleagues. My opinion is that a girl needs to look and be healthy, whether she is 14 or 23. As long as she has her family behind her, is respecting her school obligations, and is healthy and enjoying her work, I don’t feel modeling at a younger age is a big problem. I feel that it goes case by case, depending on a model’s background and her family. A 15 year old can do this job and it can be an amazing job for her, but it needs to be balanced with the other important elements. 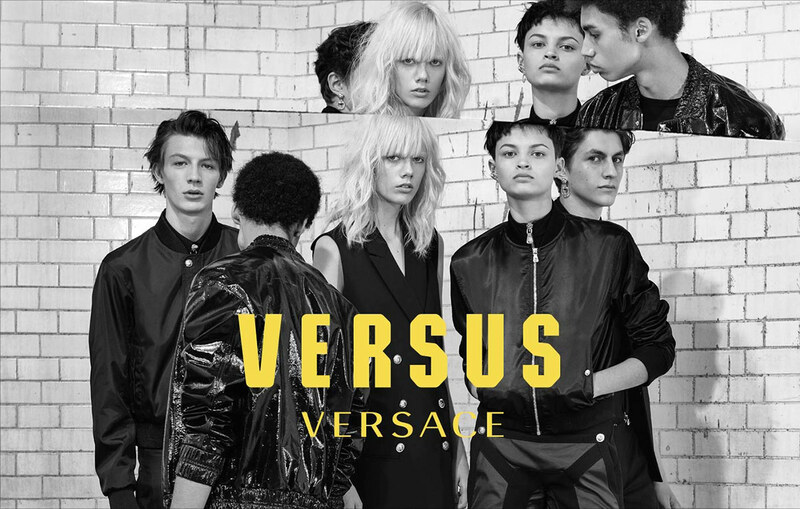 One of my favorite projects that I’ve done was my first work with Versace, which was the Versus show in NY. It was really quite special. I’ve been collecting all the Versace catalogs from the 90s by Richard Avedon for a long time, so to work with Versace myself is a really great experience. Another very special project was my first big project for Vogue Japan. 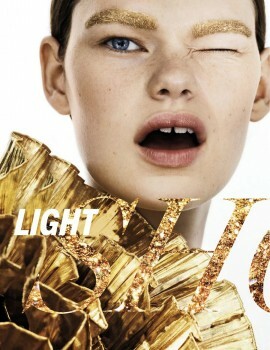 It was a cover with Maryna Linchuk, who is actually a great friend of mine, and it was my first Vogue cover. 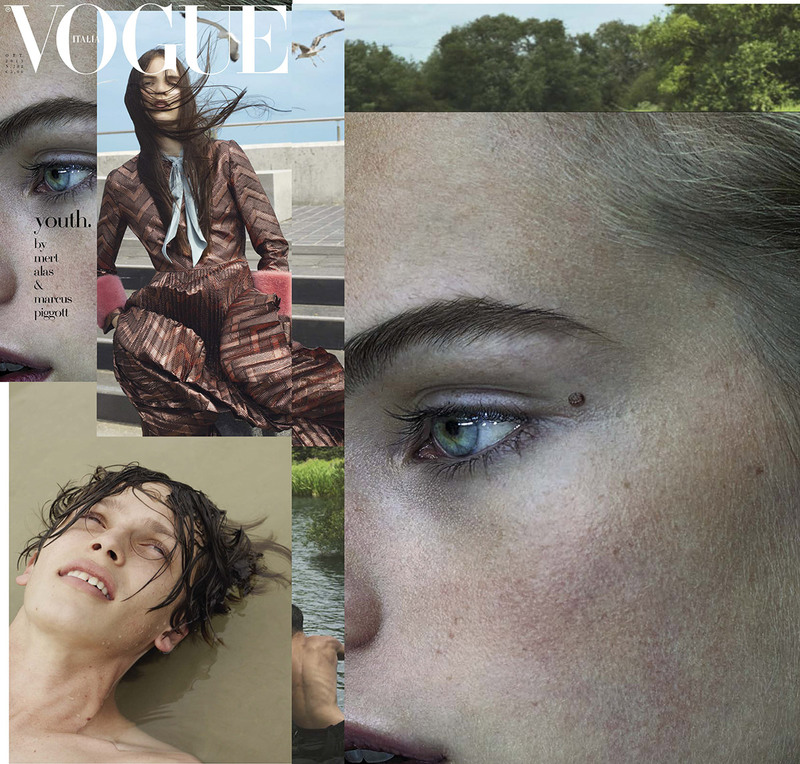 A recent project that really stands out was casting the full issue of Vogue Italia for the Youth issue by Mert & Marcus. I loved looking for all the new talents; it was an amazing experience. Professionally, I still feel that I have yet to get to the top of my career. That’s my goal. I don’t feel I’ll do this job for my entire life. It’s a great job, but you need to be at the top, make the statement, and then give a chance to new people to grow and develop.